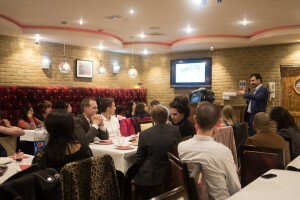 Remembering Srebrenica recognised the dedication of their Community Champions in London and the South East, as well as highlighting the diverse array of memorial events that took place in July with an Awards Dinner. The first ever Remembering Srebrenica awards dinner took place last week for London and the South East, giving Community Champions and Volunteers an opportunity to reflect on the successes of the 50 memorial events that took place within the region throughout July. 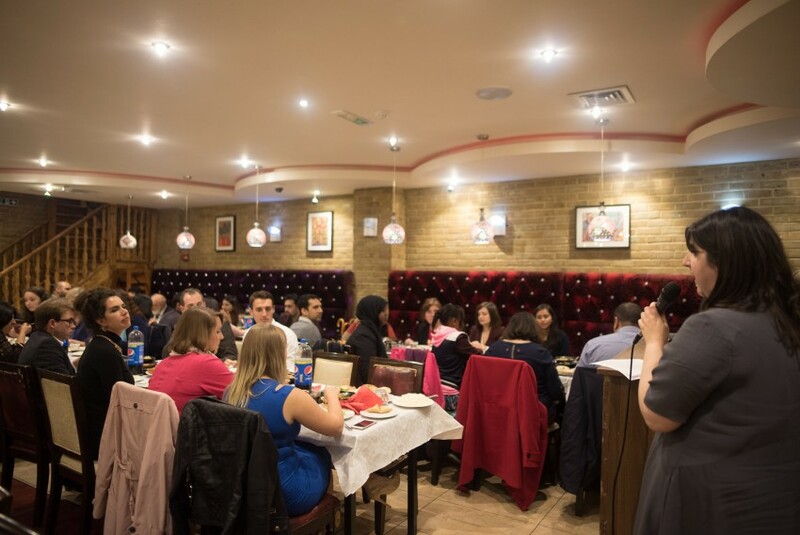 It was an excellent opportunity for staff, the regional board, and Community Champions to get together and reflect on the achievements and to celebrate the significant efforts that went into holding the Srebrenica memorial events that took place in July.” Said Amelia Handy who organised the awards ceremony. At Remembering Srebrenica, we hugely rely on the commitment of our volunteers to commemorate the genocide every July, and so it was fantastic to be able to officially recognise their dedication, and highlight the diverse array of memorial events that took place. It was very touching to hear how visiting Srebrenica had so deeply impacted the lives of our Community Champions, and to see how their commitment to honouring their pledge to remember the victims and survivors had manifested itself in such a variety of different ways. So many of these commemorations were truly inspiring. The Best educational event that went to Laura Turner for her work in Garth Hill College, where she ensured each pupil learnt about genocide through an arts competition, a school assembly, workshops, and a steps for Srebrenica outdoor project. By getting her colleagues at the school on board with the cause, within memorial week alone, Garth Hill College engaged with 1,400 young people. 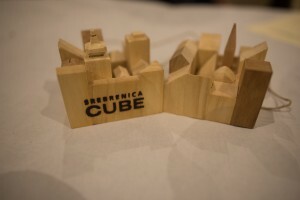 This year, 6 councils in London officially commemorated Srebrenica with Rahat Ismail from the London Borough of Barking and Dagenham Council winning the award for Best Engagement from a Local Authority. Rahat’s event at the council saw members of all faith communities join councillors to mark the genocide. Very movingly, children from Gascoigne primary school performed a poem on Srebrenica outside the town hall which they had memorised by heart. The award for the Best New Event went to Ben Walker and Samra Said who held a peace concert at St Ethelburga’s centre for peace and reconciliation attended by over 100 people. After welcome speeches and historical context was given by Ben and Samra, Oud master Ahmed Mukhtar started his performance with a beautiful piece, named “a greeting from Baghdad to Bosnia”. The concert was a testament to the creativity and beauty of the human spirit; a pertinent and defiant expression of resistance to the destruction that war and genocide generates. The name-reading vigil in Camden that Misba Sheikh and Semira Jakupovic organised won the award for Best Community-Focused Event. Their event saw the names of the 8372 victims of the Srebrenica genocide read out by members of the Bosnian community, and also included the children performing traditional Bosnian dancing, followed by a balloon release in memory of the victims. The idea behind the name-reading was to honour the victims as the individuals that they were, each a unique human being; not simply an abstract number. Farah and the Youpress team won the Event with the Biggest Impact Award, for their remarkable evening of memorialisation through dynamic spoken-word, visual art work, rap, songs, and drama performances. 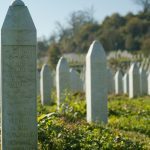 The emotional intensity of the energy and atmosphere of their sell-out event “I Remember Srebrenica” left an audience of 130 deeply moved and inspired to learn more about the genocide. Our award for Outstanding Volunteer of Memorial Week 2016 went to Ben Wright this year for his efforts in getting 12 synagogues to commemorate Srebrenica this year, 8 of which were in London and the South East. Through his devotion to the cause, many hundreds of people from the Jewish community had the opportunity to learn about Srebrenica this last memorial week. Remembering Srebrenica commemorations in London this July have really proven that people from all backgrounds and beliefs stand united over this terrible atrocity. Memorial events serve as more than simply a space in which we reflect on the past; against a background of rising numbers of hate crimes and increasingly divisive rhetoric in the media, it is more important than ever to stand up for those who are stigmatized and dehumanised. Amelia Handy said: “It is powerful indeed to see the simplicity of how people connect and create a real sense of friendship and community based on a common commitment to the cause. As one of our Bosnian friends told me, “We all have one thing in common – Remembering Srebrenica. It is such a good foundation for making friendships and feeling strong and united”.